Westfalia implements a new high-bay warehouse for cut-to-size, semi-finished and finished products for Tricor Packaging & Logistics AG. In 2015 Wellformat GmbH & Co. KG in Herford decided to build a new and modern logistic centre. Creation of the necessary storage capacity through construction of a new fully automated high-bay warehouse for Mondi Wellpappe Ansbach GmbH. Our mission is to provide simple and linear material flows, mapped through our storage, conveyor and order picking systems. Our software Savanna.NET® is the link between ERP systems and device controls. In your warehouse, it ensures a smooth flow of information. To ensure high system availability, we offer new and established customers a broad service portfolio. 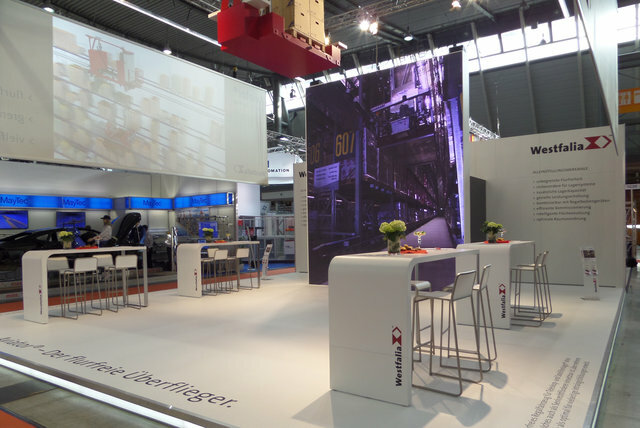 This year, Westfalia welcomes you at the LogiMAT in Stuttgart, the FachPack exhibition in Nuremberg and several other events. We look forward to seeing you! Our company plans and implements warehouse logistics projects worldwide. We are looking for employees committed to supporting our high quality work in an exciting workplace.